The Anarchist FAQ - V. What would a stateless society look like? Liberty is the mother, not the daugher, of order. V. What would a stateless society look like? Anarchism is not only a criticism of the State, but also a positive program for achieving a stateless society, which must include a vision of the type of society anarchy would become. The key themes in a stateless society are localism, voluntary association, polycentric law, and panarchy. I am in total opposition to any institutional power. I favor a world of neighborhoods in which all social organization is voluntary and the ways of life are established in small, consenting groups. These groups could cooperate with other groups as they saw fit. But all cooperation would be on a voluntary basis. As the French anarchist Proudhon said. “Liberty [is] not the daughter but the Mother of Order. Neighborhood and Backyard Industry - A recurring theme among early writers on decentralized production and the informal and household economies is the community workshop, and its use in particular for repair and recycling. The Desktop Revolution and Peer Production in the Immaterial Sphere - Since the desktop revolution of the 1970s, computers have promised to be a decentralizing force on the same scale as electrical power a century earlier. The Expansion of the Desktop Revolution and Peer Production into the Physical Realm - Open source hardware refers, at the most basic level, to the development and improvement of designs for physical goods on an open-source basis, with no particular mode of physical production being specified. The Microenterprise - The advantages of low overhead and small batch production that lean, flexible manufacturing offers over traditional mass-production industry. The household microenterprise offers these advantages, but increased by another order of magnitude. Anarchists want a society in which all human interaction is voluntary. This means that who an individual chooses to work and play with is up to them. Anarchists believe that voluntary acts between consenting adults should not be forcibly prevented. It is unfortunate that there are intolerant people who would prevent free association that they don't like, and even some so-called anarchists have fallen into this trap. As much as racism and bigotry are irrational and sometimes even immoral, non-aggressive racism should be tolerated. People should be free to join the KKK, or Nazi party, or "Antifa" anti-free speech groups if they choose. People should also be free to boycott such groups. In a stateless society, no doubt there would be some anti-social people who hold vile beliefs. Anarchists believe it is better to know who these people are, and deal with them openly, than to drive these people underground where the problems fester. Besides, SJW's (social justice warriors') illiberal left demands only help strengthen the State. Most of humam history had non-statist law and property norms. These laws came from an emergent voluntary process, outside the auspices of State. Since modern corporate States captured these polycentric legal systems starting around 1500, most people are unaware that government is not needed to provide legal services. Unfortunately, since monopoly law is all that people have ever known, they have a huge mental block about its feasibility - even though it has in fact been proven successful by history. Anthropologists and historians generally know about polycentric law, but most other non-anarchists do not. Thus private law, whether strictly voluntary or also coercive, has proven itself historically as an effective provider of social order. But the anarchist's point is not simply that monocentric law is not necessary in order to maintain social order, but more fundamentally that introducing monocentrism into the picture actually decreases social order. Advocates of government assume that non-governmental mechanisms for achieving order will be ineffective because of public-goods problems — specifically, the problem that unless people are forced to cooperate, each person will have an incentive to free-ride on the cooperation of others without cooperating himself. This argument is often taken to show the necessity of government. But if market solutions are beset by perverse incentives caused by public-goods problems, governmental solutions are likewise beset by perverse incentives caused by public-choice problems: monopolies that collect revenues by force are not accountable to their clients, and state officials need not bear the financial cost of their decisions; inefficiency is the inevitable result. Since both systems involve perverse incentives, the important question is: which system is better at overcoming such incentives? What would polycentric law look like in modern times? Probably it would be provided by diverse firms, coops, and mutuals, more or less on an insurance-like subscription or membership basis. Let us, then, examine in a little more detail what a free-market defense system might look like. It is, we must realize, impossible to blueprint the exact institutional conditions of any market in advance, just as it would have been impossible 50 years ago to predict the exact structure of the television industry today. However, we can postulate some of the workings of a freely competitive, marketable system of police and judicial services. Most likely, such services would be sold on an advance subscription basis, with premiums paid regularly and services to be supplied on call. Many competitors would undoubtedly arise, each attempting, by earning a reputation for efficiency and probity, to win a consumer market for its services. This is not a stictly modern idea. Benjamin Tucker in the 19th century also talked about private police and court services in an anarchist society. The Anarchists are simply unterrified Jeffersonian Democrats. They believe that “the best government is that which governs least,” and that that which governs least is no government at all. Even the simple police function of protecting person and property they deny to governments supported by compulsory taxation. Protection they look upon as a thing to be secured, as long as it is necessary, by voluntary association and cooperation for self-defence, or as a commodity to be purchased, like any other commodity, of those who offer the best article at the lowest price. In their view it is in itself an invasion of the individual to compel him to pay for or suffer a protection against invasion that he has not asked for and does not desire. Panarchy is the idea that all individual should be able to choose their own "government," using government here in the Jeffersonian voluntary sense of defense association. Thus, panarchy allows people to choose anarchy - or any other system of government. If someone chooses to be ruled, say, by a monarchy or a dictator or a president, they are free to create or join other willing people to do so. Thus, one can consider panarchy as the 'foreign policy' of panarchy. After all, an anarchist cannot logically force someone else to be free! Just as masochists should be free to do their thing, and Society for Creative Anachronism people should be free to emulate medieval peasants and lords, statists should be free to create States so long as they don't "scare the horses." This idea can be taken a step further. If "governments," that is, defense associations and arbitration can be polycentric and panarchist, why not legal and property norms themselves? A modern mutualist anarchist agrees. It seems likely that land property regimes will be polycentric to the extent that majority mores vary from one locality to another, because absent a single legal regime enforced by a large territorial state, property claims will depend on the willingness of local communities to enforce them. And in a polycentric legal regime in which all enforcement is financed endogenously (by the beneficiaries, as opposed to externalizing the cost on society at large through exogenous funding from general revenues), the enforceability of one’s property claims will depend on whether the potential economic value of the property is sufficient to justify enforcement costs. — Kevin Carson, Are We All Mutualists? Assume, instead, that different enclaves (communities, neighborhoods, even households) have evolved some resource usage norms - a property system. Note that we assume these diverse norms have come about by local consensus of some sort, whether it be by “democratic” or contractual arrangements. Doesn’t this seem more likely in a stateless society than large territorial monopolies of uniform property systems? Our love for decentralization includes property systems. Even if one or more property systems prove to be more popular than others, and gain market share over others, shouldn’t we still use this pluralist enclave model? I certainly don’t see everyone agreeing on the best property system any time soon! The notion that everyone is uniform, and that "my preferred system" must prevail everywhere, is at root a statist idea. 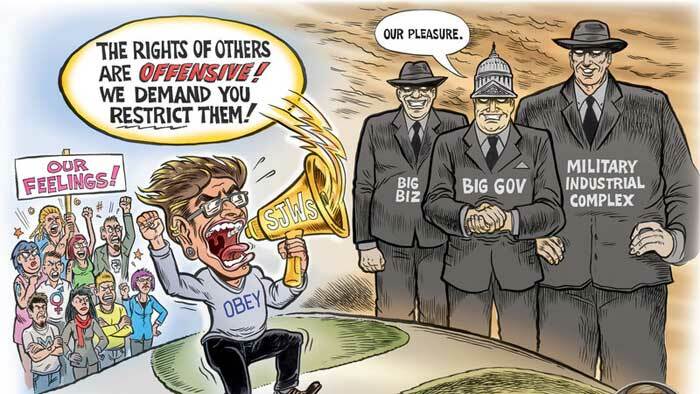 Statists tend to think that one size fits all, and are willing to use violence to fit everyone into their Procrustean bed. Anarchists, on the contrary, embrace freedom and diversity in property norms as with everything else. Do you have symbols & art?